Bubble and Marshall have fallen asleep like this. I just wanna smooch them! 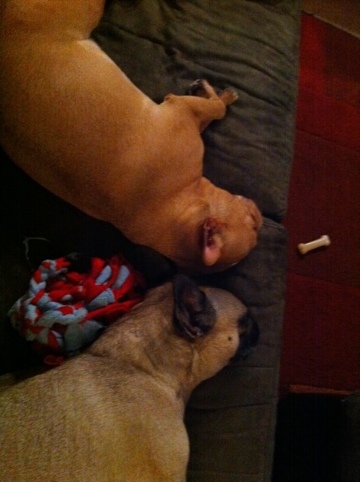 This entry was posted in The Animals and tagged Bubble, cute, family, French bulldogs, Marshall Jolie-Pitt, Pups by Mia. Bookmark the permalink.